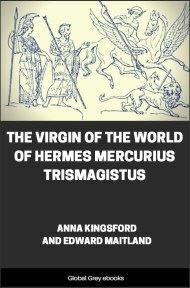 This is Anna Kingsford and Edward Maitland's translation of the Hermetica, a series of treatises attributed to the legendary Hermes Trismegistus. THE Sacred Books of Hermes, says Mrs. Child in her admirable compendium, containing the laws, science, and theology of Egypt, were declared by the priests to have been composed during the reign of the Gods, preceding that of their first king, Menes. Allusions on very ancient monuments prove their great antiquity. There were four of them, and the sub-divisions of the whole make forty-two volumes. These numbers correspond exactly to those of the Vedas, which the Puranas say were carried into Egypt by the Yadavas at the first emigration to that country from Hindostan. The subjects treated in them were likewise similar; but how far the Books of Hermes were copied from the Vedas remains doubtful. They were deposited in the inmost holy recesses of the temples, and none but the higher order of priests were allowed to read them. They were carried reverently in all great religious processions. 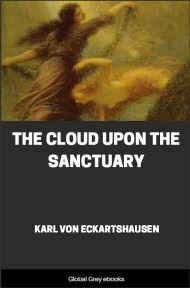 The chief priests carried ten volumes relating to the emanations of the Gods, the formation of the world, the divine annunciation of laws and rules for the priesthood. The prophets carried four, treating of astronomy and astrology. The leader of the sacred musicians carried two, containing hymns to the Gods, and maxims to guide the conduct of the king, which the chanter was required to know by heart. Such were the reputed antiquity and sanctity of these Egyptian hymns that Plato says they were ascribed to Isis, and believed to be ten thousand years old. Servitors of the temple carried ten volumes more, containing forms of prayer and rules for offerings, festivals, and processions. The other volumes treated of philosophy and the sciences, including anatomy and medicine. 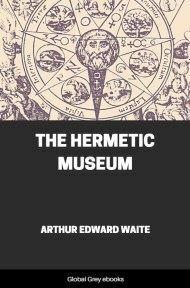 These books were very famous, and later were much sought after for alchemical purposes, especially for that of making gold. The Roman Emperor Severus collected all writings on the Mysteries and buried them in the tomb of Alexander the Great; and Diocletian destroyed all their books on alchemy lest Egypt should become too rich to remain tributary to Rome. The once-renowned Books of Hermes have been lost these fifteen hundred years. 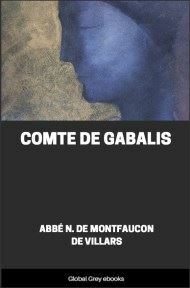 The Fragments comprised in this reprint have been the subject of much learned research. 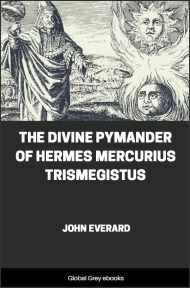 In the early centuries of Christianity--Dr. Louis Menard tells us --they enjoyed a high repute as of undoubted genuineness, the Fathers invoking their testimony on behalf of the Christian mysteries, while Lactantius--the "Christian Cicero"--said of them, "Hermes, I know not how, has discovered well-nigh the whole truth." He was regarded as an inspired revealer, and the writings which bore his name passed for genuine monuments of that ancient Egyptian theology in which Moses had been instructed. And this opinion was accepted by Massilius Ficinus, Patricius, and other learned men of the Renaissance, who regarded them as the source of the Orphic initiations and of the philosophy of Pythagoras and Plato. Doubts, however, arose. They were ascribed, variously, on the strength of internal evidence, to a Jew, a Christian, and a Gnostic. And the conclusion come to by recent critics and accepted by Dr. Menard, is that their place is among the latest productions of Greek philosophy, but that amid the Alexandrian ideas, on which they are based, there are some traces of the religious doctrine of ancient Egypt. 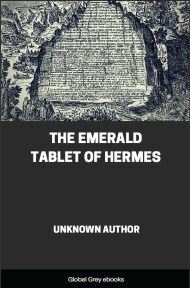 It was, he says, from the conjunction of the religious doctrines of Egypt, with the philosophic doctrines of Greece, that the Egyptian philosophy sprang which has left no other memorial than the books of Hermes, in which are to be recognised, under an abstract form, the ideas and tendencies which had before been presented under a mythological form. 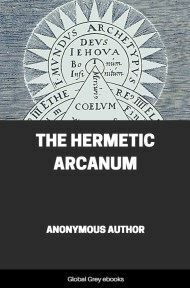 Another comparison is that which he institutes between some of the Hermetic writings and the Jewish and Christian Scriptures, especially the Book of Genesis and the fourth Gospel, and the works of Philo and the Shepherd of Hernias. "The advent of Christianity presents at first sight the appearance of a radical revolution in the manners and beliefs of the Western World. But history knows nothing of sudden changes and unanticipated transformations. To comprehend the passage from one religion to another, one should not contrast their two extreme terms--the Homeric mythology and the Nicene symbology. It is necessary to study their intermediate remains--the multiple products of an epoch of transition, when the primitive Hellenism, under philosophical discussion, changed more and more by admixture with the religions of the East, which were then confused by advancing upon Europe. Christianity represents the latest terms of this incursion of Oriental conceptions into the West. It did not fall like a thunderbolt into the midst of an old world surprised and aghast. It had its period of incubation; and while it sought a definitive form for its doctrines, the problems, the solution of which it sought, equally preoccupied the minds of Greece, Asia, and Egypt. The ideas were already in the air, which became combined in every kind of proportion.